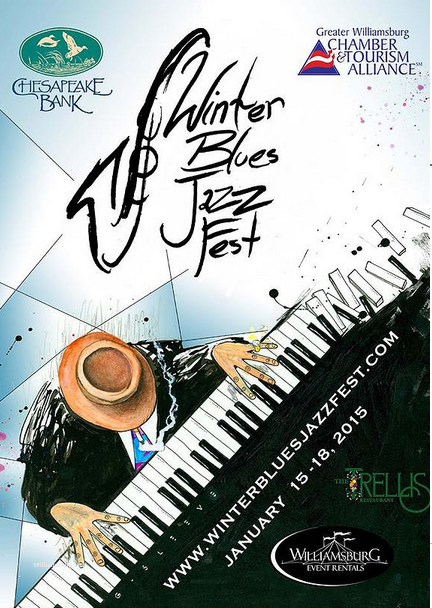 The Winter Blues Jazz Fest will celebrate great food and drinks, great people, and most importantly great music! The Trellis Restaurant, Blue Talon Bistro and D.O.G Street Pub are excited to be upfront and center during the festival weekend. Friday night will be a blast in Merchant Square, with The Trellis Restaurant serving drinks and fancy street food, including Sheppard’s Pie and Fish Cakes under the big tent. Saturday night your favorite bartenders Mel and Stephanie will be serving The Trellis Restaurant’s signature Kentucky Apple and Whiskey Sour cocktails during the Mixology and Music event at the Williamsburg Lodge, and on Sunday a ticket to the Jazz Brunch at The Trellis Restaurant includes a two-hour live performance by the Butterbean Jazz Trio, a special brunch menu and a delicious champagne cocktail.